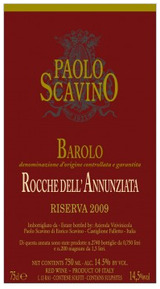 Rocche dell'Annunziata is all about finesse, details, weightless elegance. It's a symphony of ethereal aromas with harmonic motions. Rose petals, violet, lilac, tar, sweet red cherries, mint, minerals are some of the hallmarks of this beautiful cru. In the texture silk veils, layers that overlap with extraordinary grace yet offering intensity. Red rose, mature wild berry, dark cooking spice and a balsamic note are some of the aromas you'll find on this gorgeous wine. The structured, elegant palate delivers juicy black cherry, crushed raspberry, licorice pipe tobacco and mocha balanced by firm, silky tannins and surprising freshness for the vintage.